Children with asthma may not realise they are allergic to peanuts because the same shortness of breath, wheezing and coughing are seen in both conditions, according to a new study. Based on analysis of the records of more than 1,500 children from the paediatric respiratory clinic at Mercy Children’s hospital in Toledo, Ohio, researchers found one in 10 tested positive to peanut sensitivity. However, more than half (53%) of these children and their families were not aware and did not suspect there was any sensitivity to peanuts. They found the prevalence of known peanut allergy was similar across age groups. Lead author, Robert Cohn, said: “Many of the respiratory symptoms of peanut allergy can mirror those of an asthma attack, and vice versa. Examples of those symptoms include shortness of breath, wheezing and coughing. This study demonstrates children with asthma might benefit from a test for peanut sensitivity, especially when control of wheezing and coughing is difficult to achieve. Dr Samantha Walker, director of research and policy at Asthma UK, said: “These findings are difficult to interpret because allergy tests to food are notoriously unreliable and require careful interpretation to confirm a diagnosis of peanut allergy. 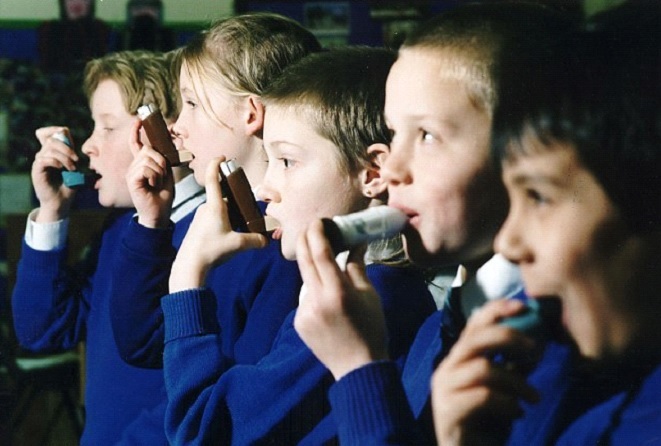 “Although asthma affects one in 11 people in the UK, including 1.1 million children, it is a complex condition and years of research underfunding means it remains a relative mystery. Many people have positive allergy tests but can eat peanuts safely – and so it is unsurprising that many people tested for this research did not know they would have a positive test result.